Mobile is driving more purchases than ever this year. Just by adjusting your strategies to better cater to customers opening messages on smartphones and tablets, you can increase your Mobile Marketing Conversion Rates by 70 percent, according to a report by email marketing provider, Yesmail. The study also found that smartphones made up 54 percent of all mobile orders and 53 percent of all mobile revenue, surpassing the halfway mark for both for the first time. Mobile Marketing Conversion Rates will be boosted by optimizing your holiday campaigns. According to data from the US Consumer Device Preference Report: Q4 2013, 65 percent of emails get opened first on a mobile device. 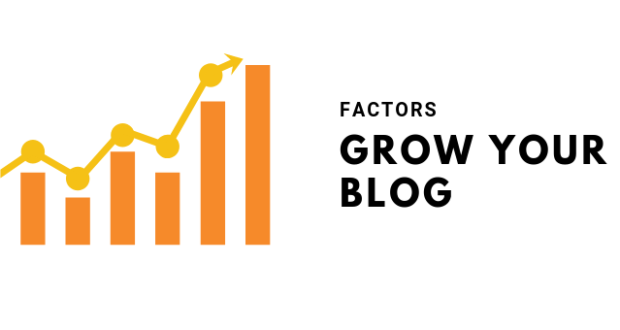 It is now imperative that you create a mobile friendly version of your blog’s email updates. According to a report by Yesmail, more than a quarter of all email-driven purchases were completed on a mobile device, with smartphones driving over half of mobile orders. Half of all emails deployed in Q2 of 2015 were responsive. 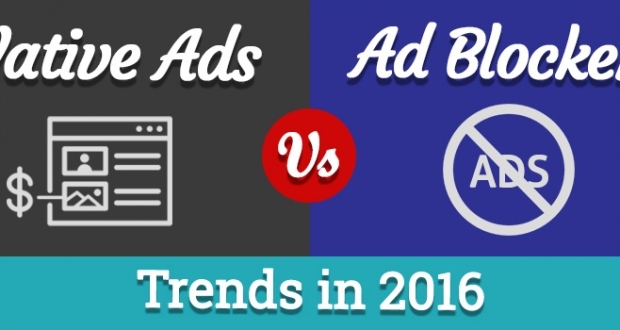 There is a significant rise in the Mobile Marketing Conversion Rates. 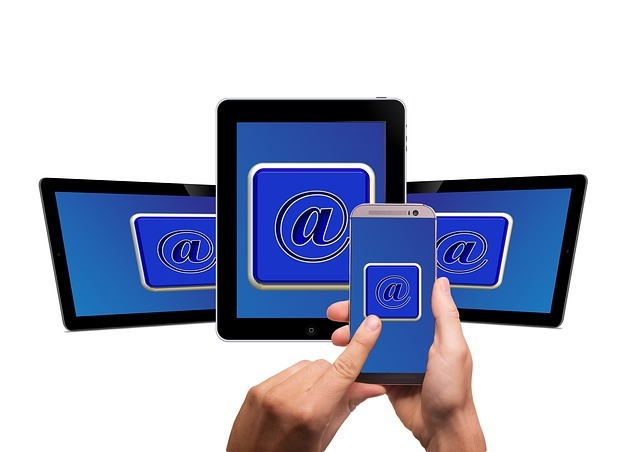 To ensure that your email is responsive and can be read on all devices, use as little HTML as possible, avoid using too many images and embedded videos. Not only do HTML-rich emails decrease deliverability, but they also have lower open rates. MailChimp and Campaign Monitor have good reference guides for developing responsive emails. 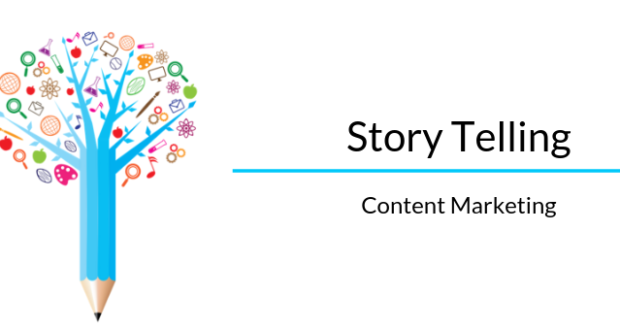 According to Hubspot, smart content is content that adapts to the characteristics of the person consuming it. 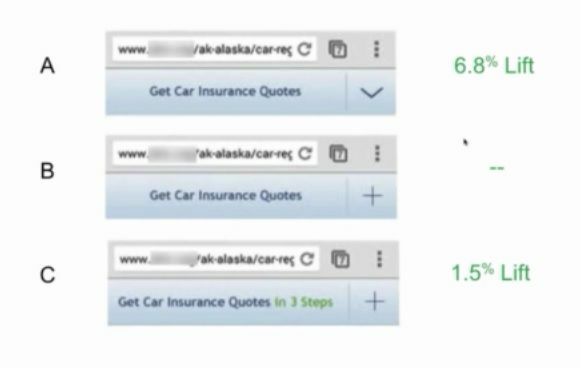 When they used mobile smart forms that shortened the content and optimized the images for mobile, it produced a 10.7 percent decrease in bounce rate. The goal of smart content is to provide a more relevant experience than could otherwise be achieved through static content. Just as each recipient gets targeted emails with marketing automation, each website visitor sees customized webpages with smart content. You can also use smart content to personalize your email marketing and boost conversion rates in emails. According to Aberdeen group, personalized emails improve click-through rates by 14 percent and conversion rates by 10 percent. 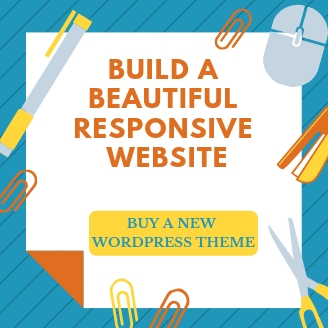 You would think it might be sufficient just to throw up a couple of responsive or adaptive landing pages and boost your conversions. 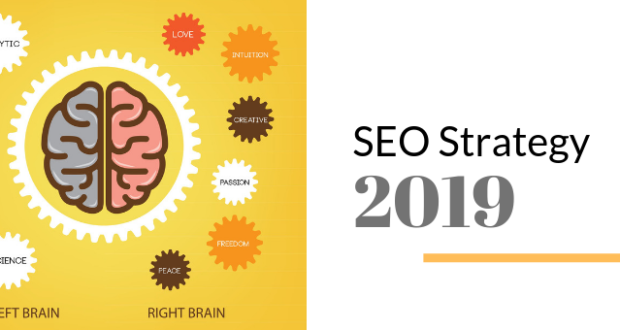 But it’s not that simple, as a study by Marketing Experiments showed, because just making your site responsive does not Mobile Marketing Conversion Rates. Sending your visitors to a responsive landing page optimized for desktop users is not going to increase conversions on a mobile device, because mobile users don’t surf the web on their phones like they do desktops, says this article by Matt Jones on ConvinceAndConvert. 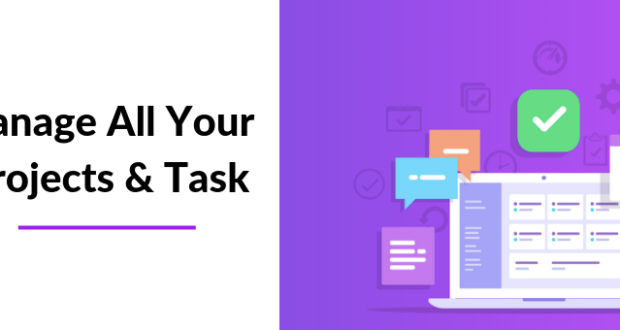 Instead of sending them to a responsive site that has too much content and is too distracting to increase conversions, try sending your visitors to a simplified mobile site with a clear call to action. 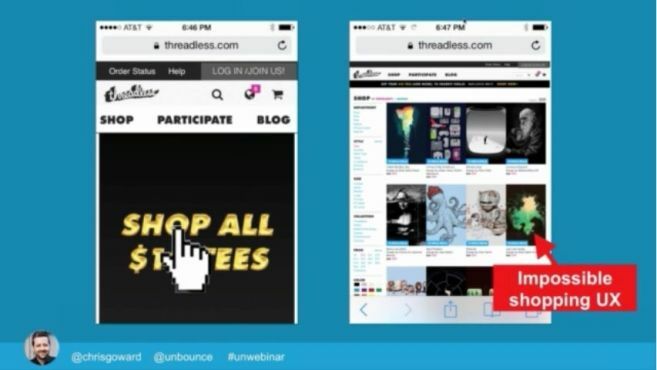 “You have less than 8 seconds to capture your visitor’s attention on your page,” notes Chris Goward, CEO of WiderFunnel, in his Unwebinar, How To Incorporate Mobile Into Your Marketing Strategy. 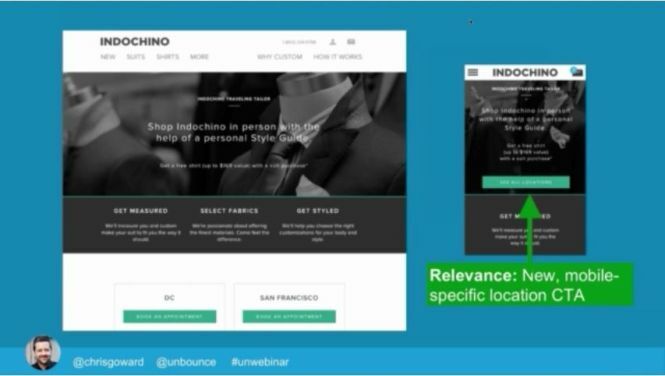 He provides the example of Indochino, which uses a very clear mobile specific CTA on their mobile site, as compared to their desktop site. In comparision, the mobile shopping experience at Threadless is inconsistent, bordering on impossible. According to Adobe, companies with mobile-optimized sites triple their chances of increasing Mobile Marketing Conversion Rates to 5 percent or above. 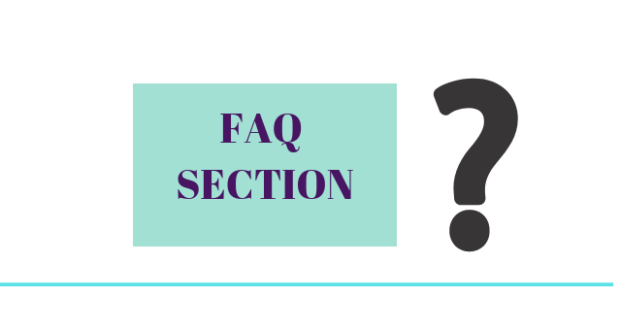 Scrolling or excessive links to navigate will also create extra friction. If you want more mobile users to call you, create a friction-free experience by having an easy click to call button at the top of the header. According to a Call Intelligence Index report from Invoca, calls have 30 to 50 percent conversion rates while clicks top out at 1 to 2 percent. Chris Goward also recommends that you keep testing and tracking, to see which versions of your mobile UX work better than others, from simple buttons to menus to CTAs. 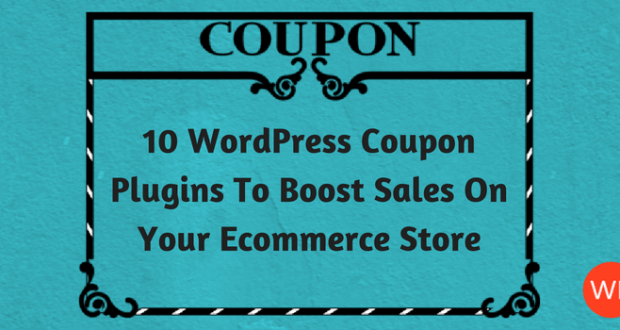 To increase your conversion rate, pull them in with a hook like a coupon or a freebie. Use interactive elements, such as quizzes and games to keep them engaged and entertained on their mobile devices. It’s a good practice to avoid using popups altogether on a mobile device, because they interrupt the conversion process. The best way to create a great mobile user experience for your visitors is to create an app. 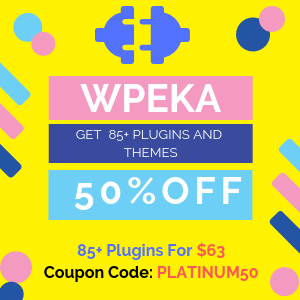 If you have a WordPress site, you can do this easily and with very little investment by using one of these plugins. It allows you to convert your WordPress website into a mobile app, and publish on the app stores. Pricing starts at $199. For a reasonably priced $69, it converts both WordPress.com and self hosted WordPress sites into an Android, iOS, Winphone and Windows app. Starting at $69/month, this is one of the more expensive options. It turns your WordPress site into native apps for iOS and Android. 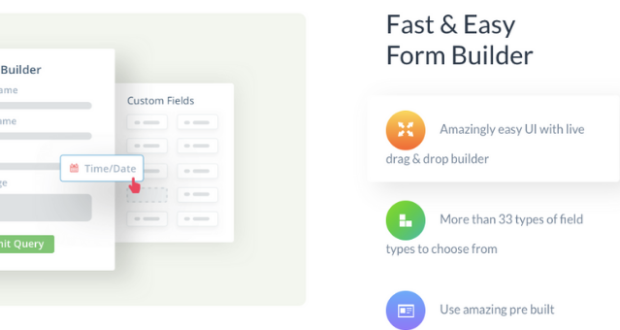 Design your app in a few minutes using their WordPress plugin and then test it online in a simulator or on your own devices using their preview apps. 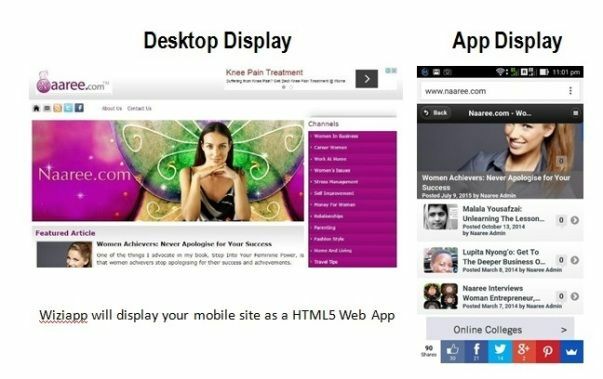 Helps you create your own HTML5 mobile App for iPhone, Android and Windows Phones. Publish your App as a native app to the Apple App Store and Google Play Android market. The HTML5 Web App is free, but the others start at $149. 20 percent of consumers rely on mobile to make their final purchases after research, according to the article here. An article in Entrepreneur magazine, notes that your mobile website is much more likely to convert if you keep your checkout form simple and allow guest checkouts as well as 1-click checkouts for return customers. Instead of creating a mobile version of the regular checkout process, design your mobile checkout pages based on the quickest possible solution that only requires rudimentary information. According to this article, shoppers often abandon carts all the time, so letting people save their cart, capturing their email addresses or letting them login via Facebook can help you keep the sales you might have otherwise lost. Allow your visitors to sync their shopping experience with another device, so they can browse on a mobile device but checkout on their desktop. Track omnichannel visits to ensure a seamless shopping experience, whether in store or on a device. Did you find these tips on increasing your mobile Mobile Marketing Conversion Rates useful? Do let us know in the comments below.